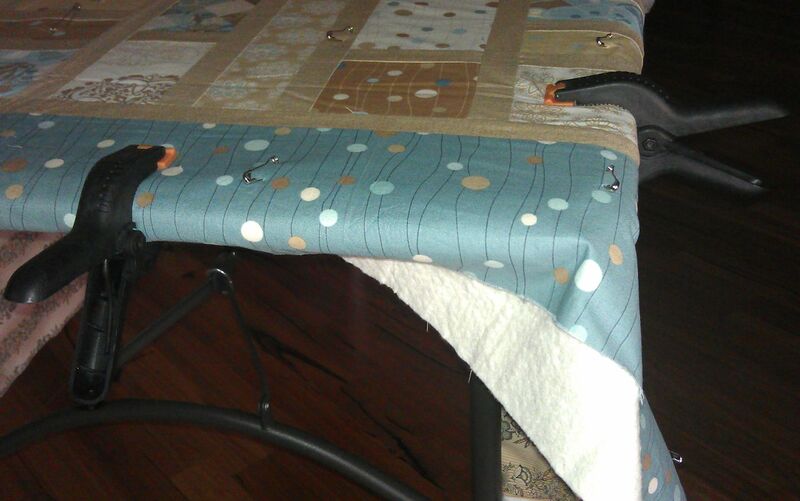 After watching Cindy Needham’s excellent Craftsy class (Design it, quilt it), I decided to try her method of basting a quilt, using a taped down pin to mark the centre of the table and quartering the backing, batting, and top. But as I’ve only been using an angled kitchen counter top for basting, that method wasn’t going to work. So I combined three things to create myself a great basting and/or cutting table! A fold-up table from Bunnings (if in the US, try your Home Depot, Lowes or similar) with straight legs ($35), a length of PVC pipe (I think I got two metres) that slips over the legs without being too loose or too tight (cut into four equal lengths for free by the staff at the Bunnings trade counter; ~$6 for two 1-metre lengths), and four rubber feet to fit over one end of each of the four pieces of PVC (~$2 each). It’s a PERFECT height for basting! I don’t have any clamps (yet), so I’ve been using strong masking tape to stretch and hold the backing fabric in place while I place the batting and top. Update: I’ve now purchased 8 hand clamps from Bunnings (at $2.10 each, so ultimately cheaper than using lots of tape). All up, the cost of my table and its accessories was less than $60. Very gorgeous quilt. I would love to see pictures of you quilting your big quilt, since I haven’t seen any videos on S16 (except tiny squares) in action. I use a ping pong table in the garage. 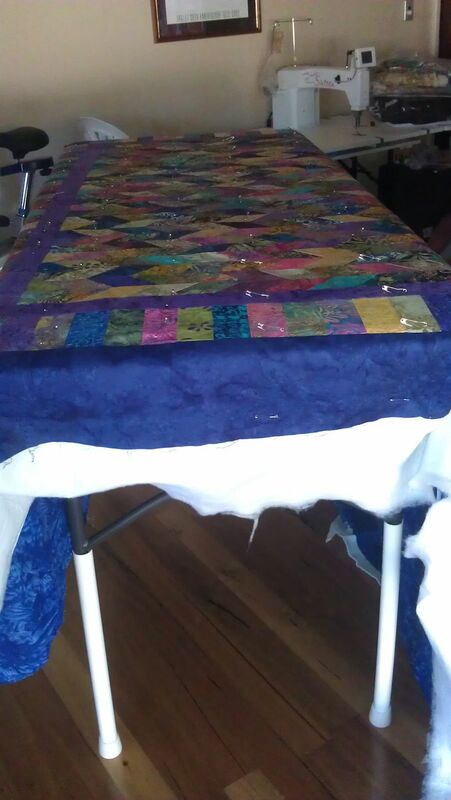 I am too old and too fat to get down on the floor (plus my floor is dirty – rather be sewing! haha). It has width to it, but I wish it was higher. 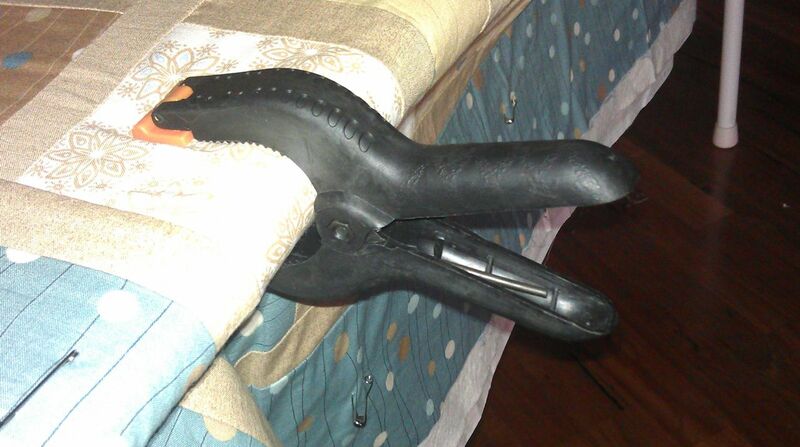 Its semi-light weight, so I have to be careful leaning on it. I use the big office supply clamps to first hold down my batting all way around it, then I clamp my bottom fabric 1/2 around it on top & spray baste in sections. After 1/2 is sprayed, I clamp that side in and do the other. 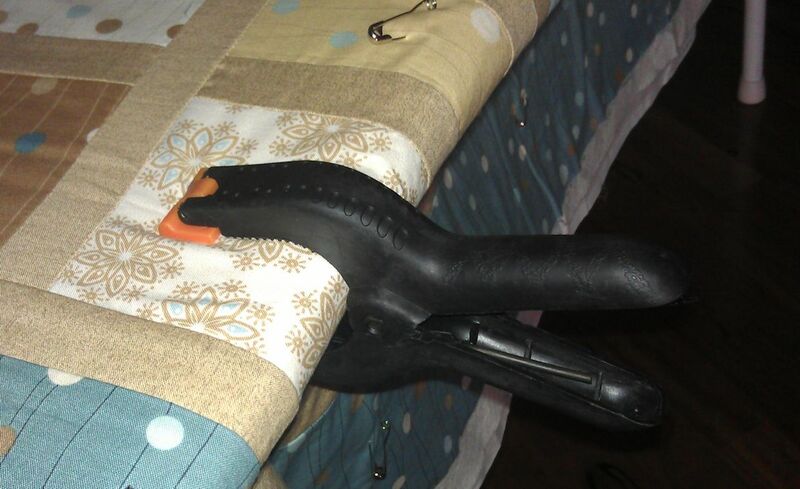 Then I flip over & rec-clamp all way around and do my top same way. If I have fabric hanging over, I found its still better to shift fabric from one side, and clamp so its taunt even if I have say 10 inches. Then I pin it, coz if I can’t get to it fairly soon, the basting wears off. I’m new to quilting but a year ago, bought a bunch of quilt tops from lady at Church & started putting them together, holding them down with Sashiko machine & then FMQ on sewing machine. (Love that Leah Day). I thought doing the tops would be fun, but no way could I cut all that out, so I use the die cutting system (which is an additional expense). 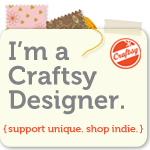 Love Bug Studios, with Ebony Love is a great site for diecutting. Now I have my Sweet 16 to learn on. I love your site, very informative.